Product : Oriflame The One Illuskin Powder Product Code .. Product : Oriflame The One Illuskin Powder Light Product C.. Product : Oriflame The One Eyeliner Stylo Product Code .. Product : Oriflame The One Volume Blast Mascara Product Co.. Product : Oriflame The One Iiuskin Concealer Product Code .. Product : Oriflame The One Iiuskin Concealer Product.. Product : Oriflame The One Iiuskin Foundation Produc.. Product : Oriflame The One Iiuskin Foundation Product Code.. 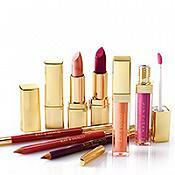 Product : Oriflame Very Me Perfect Body Glow Product Code .. Product : Oriflame Very Me Soft N' Glam Eye Shadow Pro.. Product : Oriflame Very Me Peach Me Perfect Skin Glow Prod..